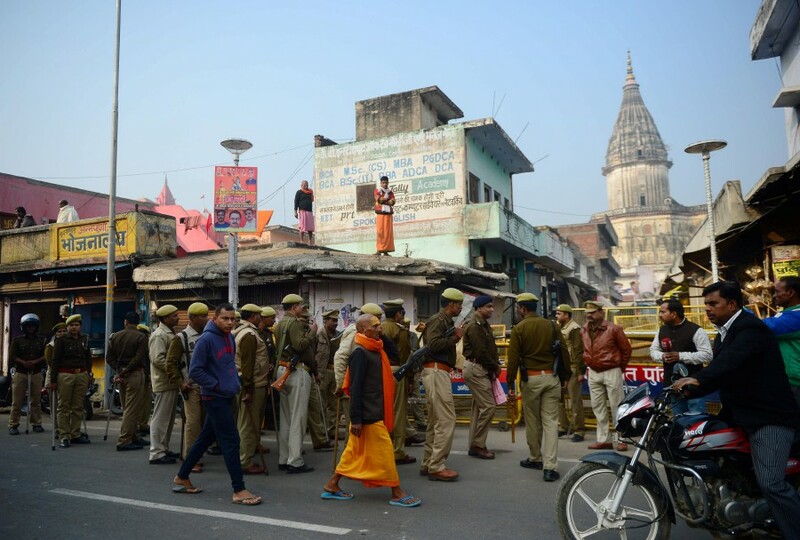 AYODHYA: Some 2,000 baton-wielding Indian police were on duty in the flashpoint city of Ayodhya on Thursday to prevent any clashes around the anniversary of the destruction of a mosque. Uttar Pradesh’s state premier Yogi Adityanath, a firebrand monk who has long campaigned for the temple, has also unveiled plans to build the world’s largest statue in Ayodhya – a 221-metre (725-foot) bronze Ram. A statue will be a “bonus“, said Shyam Madho, a 70-year old Ayodhya resident.